You are here: Home / Featured / Richard Dawkins is Coming to New Zealand, and That’s Good News! 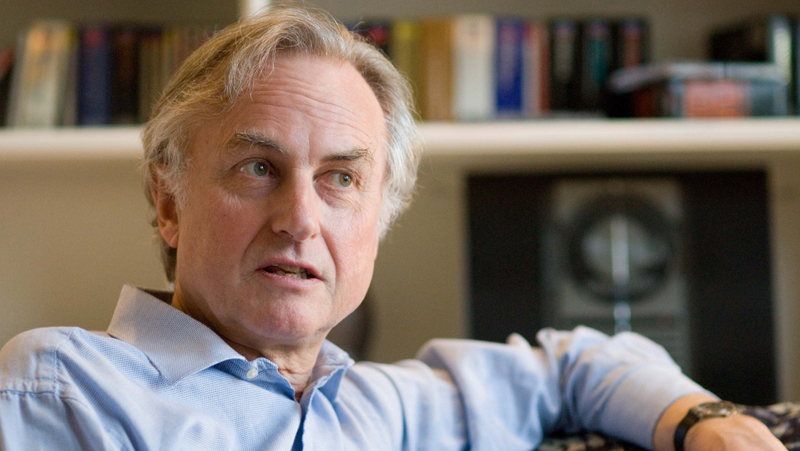 Richard Dawkins is Coming to New Zealand, and That’s Good News! Richard Dawkins is an evolutionary biologist and science populariser. He is the former University of Oxford’s Professor for Public Understanding of Science. He has written many books including The Selfish Gene, The Blind Watchmaker, Climbing Mount Improbable and The God Delusion. He is a passionate rationalist who vigorously promotes science-based education, values and understanding. He is a staunch defender of atheism and a controversial critic of religious belief. He is well regarded by media and many academics as a top scientific thinker and a compelling public speaker. Why is Richard Dawkins coming to New Zealand? Dawkins is promoting his new book Science in the Soul in Auckland on May 10, 2018, and Christchurch on May 11, 2018. The book is a collection of 42 of his essays spanning three decades that proclaim the power and glory of science, the wonder of discovery, and the necessity of scientific thinking in diverse areas of society. He defends Darwinian evolution and natural selection, and the role of scientist as prophet. He responds to questions about whether science is itself a religion, the probability of alien life and the beauty and cruelty of life on Earth. Why should the church be interested? How is this “Good News”? Dawkins has brought the discussion of religious belief back into the public arena and we can be grateful for that. No longer simply a “private faith”, Christians are being asked to think carefully about what they believe and why they believe it in light of his strong attacks on Christianity. St. Peter encourages Christians to “in your hearts revere Christ as Lord. Always be prepared to give an answer to everyone who asks you to give the reason for the hope that you have. But do this with gentleness and respect,” (1 Peter 3:15 NIV). The faith and witness of followers of Jesus Christ will grow and the Church will be strengthened when we seek answers and present them with humility and respect. How should I think about the conflict of science vs. faith? Is it always science or faith? Is it possible to be both? We enjoy many benefits that science has brought to our lives; modern medicine, electricity, automobiles and smartphones. We can find areas where we agree with Dawkins if we’re willing to listen carefully. We can learn to discern claims of verifiable facts from claims about the implications of those facts. Scientists, like all people, are just as susceptible to affirm or ignore evidence based on our view of the world. Remember that there are faithful, obedient Christians who believe in a young earth, an old earth and theistic evolution. Be gracious. 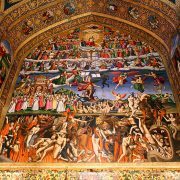 How can I engage my non-Christian friends and colleagues? Pray to God with thankfulness. Dawkins’ visit is a gift that can open up conversations about Jesus. Listen carefully and genuinely seek to understand what others believe and why. Affirm areas of agreement with the Christian worldview. Resist a combative response, even if you feel defensive. If you don’t have solid answers to their questions, say so with humility. Offer to journey together to discover what is really true and whether it matters to our lives. Consider Paul at the Areopagus in Acts 17. He quoted pagan philosophers and poets to build bridges that moved people towards Jesus. He ignored those who sneered at his faith and instead went with those who were genuinely interested in learning more. Get out there and do likewise. In addition, explore some of the articles on this website, you might find something that speaks to the subjects that either you or those you know struggle with. We urge you to pray for Richard Dawkins. This is an important opportunity. Instead of being prideful, defensive or argumentative, we can choose to bless him as one created in the image of God and to pray for his salvation and a destiny that he has yet to embrace. We would love to welcome him into God’s Kingdom here in New Zealand. We choose to pray for revelation of the living God. We choose to pray for dreams and visions of Christ to flow into his life. It has been prophesied that this city is a place where people will come and meet God and then take the good news back to the nations. It is in this spirit that we believe good things for Richard and want him to have the blessing of knowing Christ. What a privilege to pray for a man God loves and wants to rescue and restore. God used Saul to become one of Christianity’s greatest evangelists. He can use Richard Dawkins the same way. If you would like to share this information with your church, download the Richard Dawkins Brief in PDF, print copies to A4 and then cut them into A5 sized handouts. https://thinkingmatters.org.nz/wp-content/uploads/2009/11/714blog_richard_dawkins_2.jpg 451 800 Bruce Fraser http://thinkingmatters.org.nz/wp-content/uploads/2018/12/Thinking-Matters-Logo-MEDIUM-BLACK-TRANPARENT-1030x278.png Bruce Fraser2018-05-07 11:35:162018-05-07 11:38:32Richard Dawkins is Coming to New Zealand, and That's Good News! Counting the fallout of New Atheism: Is there an atheist schism? Is Karma consistent with reality?